Every time we get a box of apples, we make some of them into applesauce. The kids love it, it’s fun to make, and with the help of a sauce maker, it’s easy too because there is no need to peel or core the apples. 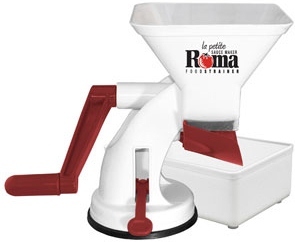 This is the sauce maker I use – or rather, this is the updated version of the one I use. Mine is old and red. You can use any sauce maker, but this one is extremely simple, inexpensive, and has served us well. You can buy it on Amazon here, but you’ll see that it has some pretty negative reviews about the suction cup. In our experience, the suction cup stays put most of the time, but you really can’t count on it, so one of us holds it while another person cranks. No big deal. 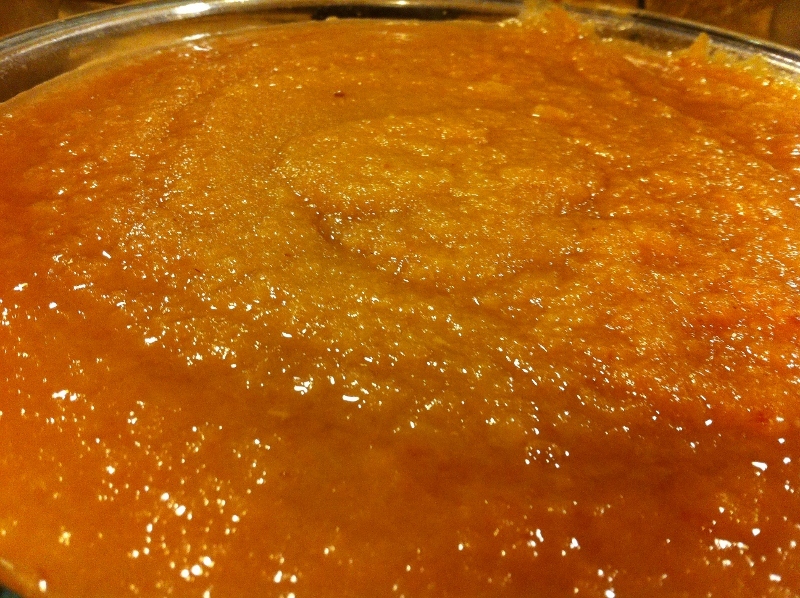 Almost any kind of apples will make great applesauce; and a mix of apples is usually better than just one kind. If you’re buying a box of apples specifically to make applesauce, we’d recommend either Golden Delicious or Mutsu apples. 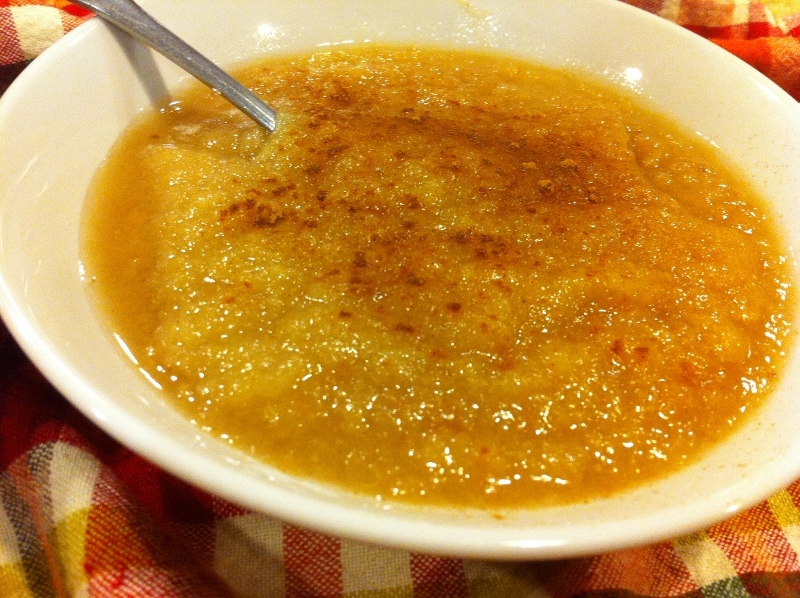 The applesauce made with either of these varieties turns out sweet and light-colored with a nice flavor. Directions: Add water to your saucepan until it’s about 1 inch deep. Cut your apples into quarters. Don’t worry about the peel or seeds – they will be removed by the sauce maker later. 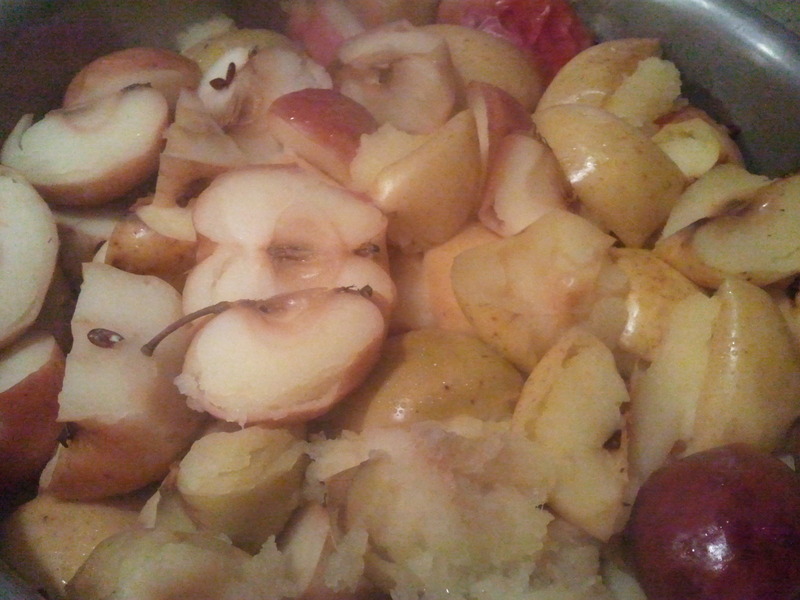 Add the apples to the saucepan, cover it with a lid and simmer on low for about a half hour, or until the apples are very soft. (The amount of time will vary, depending on how low the “Low” setting on your stove is.) Keep an eye on the apples – you may need to add more water to keep the apples from burning. 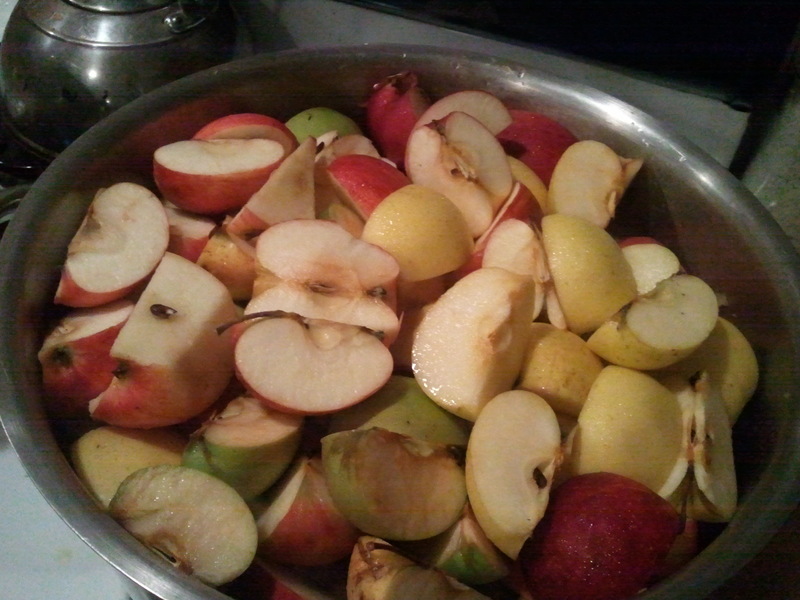 We never do, though, because the juice from the apples starts to fill up the pot and keeps the apples from burning. 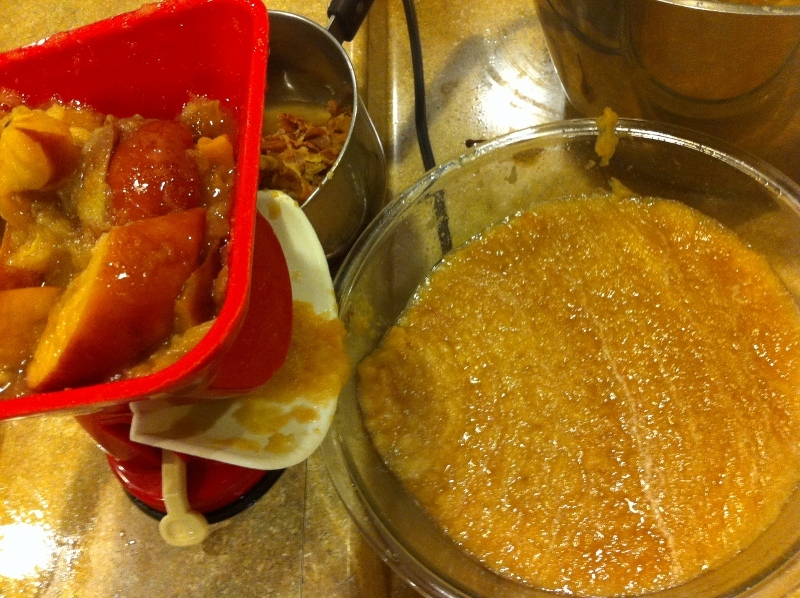 Put the apples through the sauce maker, and your applesauce is done! You can serve it warm or cold or use it for recipes like these Whole-Wheat Apple-Walnut Muffins. It’s also very easy to store your applesauce in the freezer for later. Just put it in a Ziploc bag, seal tightly and freeze. Thaw it for 12-24 hours before serving.